Fresh bakes, chocolate or candy? Just like choosing your favourite treat is a matter of personal taste, so is your choice of kitchen style. Whether it’s the homey comfort of farmhouse, the funky flair of retro, the sleek elegance of modern, the timeless charm of classic, the earthy nature of rustic or the magic mismatch of eclectic, your kitchen is arguably one of, if not the most important room in your house, especially in terms of investment and property value. It’s also where we spend many hours preparing food for and spending quality time with our loved ones, so it makes sense that its style is a personal statement about the people who live in the home. In this article we take a look at the vital elements of three very different styles, namely farmhouse or country, contemporary or modern, and eclectic. Vintage accessories such as old signs, collection of recipe books and a recipe stand, old milk cans, a vintage kitchen scale etc. Feel free to add personal touches such as old family photographs, area rugs, rocking chairs etc. whatever makes it home. Karina Palmer, interior designer and AMERICAN shutters’ marketing director suggests their Decowood range of shutters in one of their standard soft neutral shades, for country-styled kitchens. 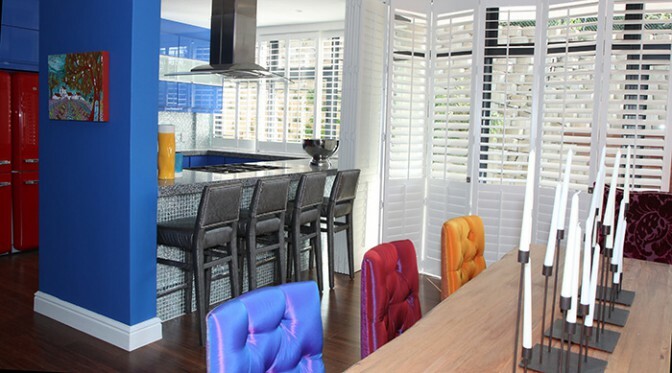 “Decowood shutters are ideal for hard-working kitchens,” says Karina. “They are hard wearing, durable, and easy to clean and maintain.” Manufactured locally from engineered wood composite, they are coated in patented polyurethane to ensure they are stain-, peel-, chip- and crack-resistant. There are subtle differences between contemporary style and modern style kitchens, but they also share many design principles. 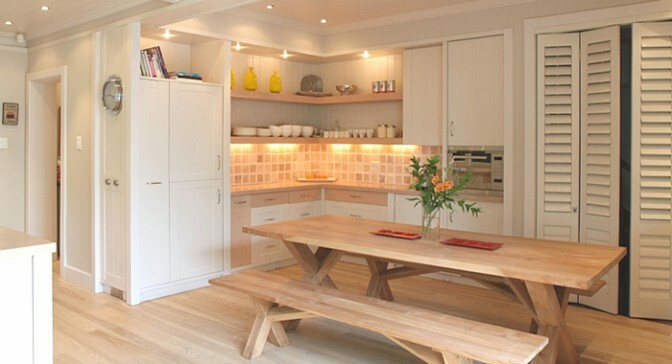 Both are designed to be streamlined, practical and beautiful spaces that celebrate the natural beauty of the materials used, and unlike the farmhouse kitchen, they are generally free of clutter and ornamentation. Concerned with structure and shapes, the modern kitchen has strong horizontal lines with frameless cabinet doors and draws and elegant horizontally aligned hardware. Contemporary kitchens may be more colourful than a typical modern style kitchen and often have a mix of new and old-made-new components. Trendy and interesting features such as a unique back-splash or feature wall also suit contemporary style. Whether it’s modern or contemporary, both styles require cutting edge appliances and gadgets. 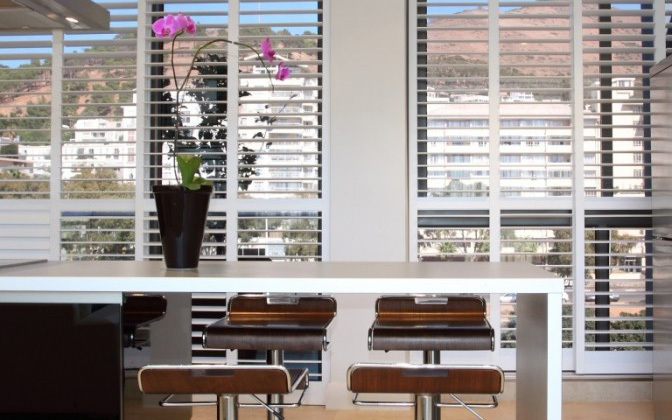 There are no better suited window finishes than shutters or blinds for a modern or contemporary kitchen. 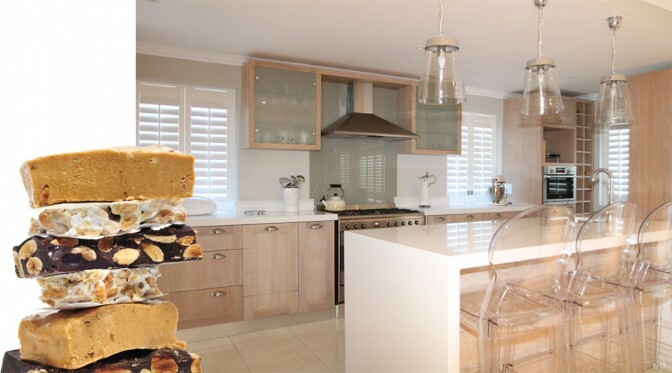 “The natural geometry of shutters embody the horizontal lines modern kitchens are styled on, and their practicality and style enhance a contemporary kitchen design,” says Karina Palmer. 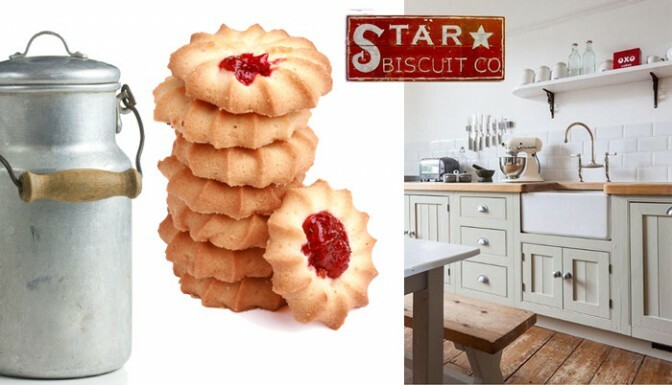 Karina suggests Decowood shutters or AMERICAN shutters’ Normandy range for contemporary kitchens. Made from the timber of the Kiri tree, one of the world’s fastest growing tree species, Normandy shutters are eco-friendly and because Kiri wood has one of the highest strength to weight ratios, they are dimensionally stable and durable. Left in their natural state, the shutters are a beautiful light honey to blonde colour, but can also be finished in any of AMERICAN shutters’ 50 stains and colours. When it comes to eclectic style kitchens the rule is simply there are no rules. It is a mismatch collection of eras, styles, influences etc. that when creatively put together just seem to work. Travel-inspired elements can introduce a taste of Tuscany, a pinch of Paris, a sprinkle of Soho, an aroma of Africa, and the result is a delight of visual reminders that ignite the memory and the appetite. Eclectic style has a license to thrill with humour and fun. Quirky finishes, funky gadgets and cheeky art are only some of the ways you can express your individuality in an eclectically styled kitchen. 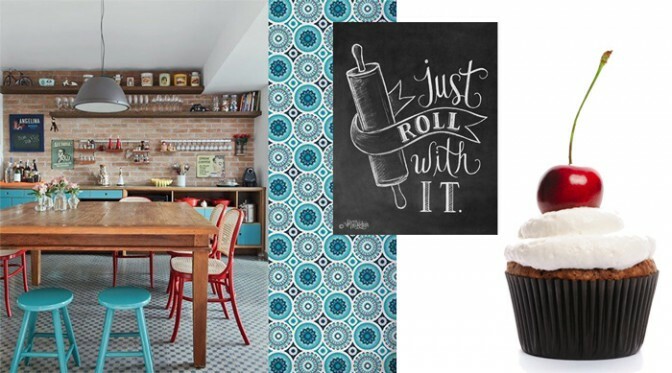 “By its very definition, anything goes in an eclectic style kitchen,” says Karina. “But while you can decorate with absolute abandon and personal flair when it comes to accessories, accents and furniture, my advise is to invest wisely in the permanent finishes and features such as cabinets and window finishes. Reason being that when it comes to property valuation and reselling, not everyone may share your unique taste.” Shutters are perfect window finishes in an eclectic kitchen because they suit all interior design styles and are the perfect canvas for personal style. So when it comes to choosing your kitchen style, let your mouth water in the same way it does when choosing your favourite chocolate from a big box selection, and browse our gallery of kitchen shutters and blinds.